The Biology of the Lion King: The Lion King 4? After spending 10 weeks in Cape Town, I have seen a variety of African wildlife and landscapes. While taking The Biology and Ecology of The Lion King, I have learned to observe my surroundings through a knowledgable lens. I have thoroughly enjoyed our discussion about different forms of wildlife depicted in The Lion King, and I wanted to close off my blog posts with a bit of discussion looking forward to the future of this beloved animated film. We've seen The Lion King 1, 2 and 1 1/2, and the franchise has grossed millions of dollars worldwide. If it is so successful, why wouldn't the filmmakers make another film? The Lion King has provided audiences with never-before-seen a peek into the fantasized world of Africa, and the franchise has proven timeless. 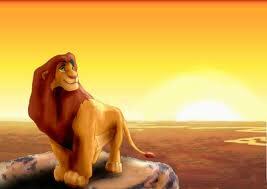 Different blogs have speculated on the possibility of another Lion King film. The Lion King 3D recently hit theaters, and The Lion King Special Edition is also expected to release again within the next few years. Ideas regarding different possible sequels include: Timon and Pumbaa: The Story of a Killer Lion, and The Lion King 4: The Beginning of The End. All of these ideas are likely just from fans, but there is definitely still an interest in future Lion King Films. What made this movie so timeless? What makes a sequel successful? At the end of the day, there are no official sites posting credible information regarding a possible Lion King 4 in the future. However, Disney is known for taking animated films "out of the vault" now and again to satisfy fans with old favorites. I don't think this is the last we will hear about The Lion King franchise.